The Cascades Course at Omni Homestead Resort. Photo by L. Lambrecht. William S. Flynn, who had worked beside Hugh Wilson in building both Merion East and West, designed the Cascades in 1923. The USGA, which in years to come would tap the Cascades six times for national championships, did not hesitate to nominate the course for the 1928 U.S. Women’s Amateur. Twenty-five-year-old Glenna Collett captured the crown for the third time, steamrolling Chicago’s Virginia Van Wie, 13 and 12, in what remains the most lopsided final in the history of the championship. 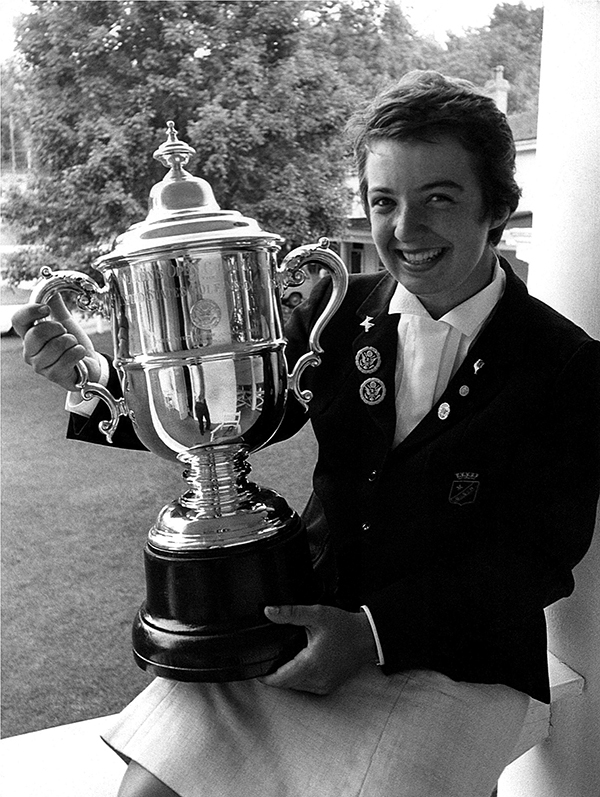 Another young woman, 22-year-old Catherine Lacoste, made history at the Cascades when she won the 1967 U.S. Women’s Open. The excitable French player—whose father, Rene, the tennis champion, manufactured the Lacoste polo shirt with the crocodile logo—turned back a powerful field of professionals that included Kathy Whitworth, Carol Mann, Louise Suggs, Donna Caponi and Sandra Haynie to win by two strokes. She remains the only amateur to win the Women’s Open. Flynn’s routing plan, characterized by naturalness and a spirit of adventure, has held up superbly over the decades. 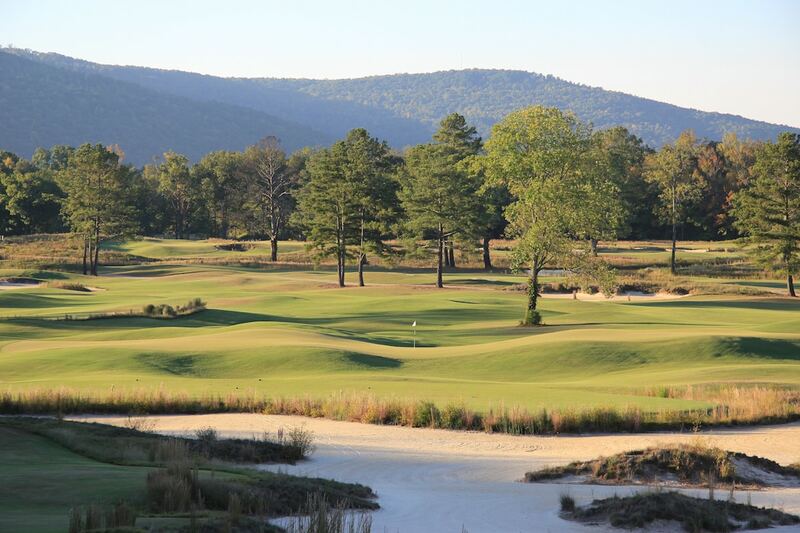 Although Cascades is always spoken of as a mountain course, the holes are scarcely alpine. In fact, the course seems almost to lie in a cradle, as the densely wooded hills, which are notched again and again with gaps affording exquisite long vistas, hover protectively a thousand feet or more above ground level. Vertigo is not a concern. Nor are the elevation changes ever abrupt, though they can be dramatic. What gives the course its powerful appeal is the varied nature of the holes. It is a rare layout in which no two holes resemble each other. There are no “cousins” here, yet all 18 holes fit seamlessly together. The course is clearly of a piece. In the first half-dozen holes, we encounter the richest possible diversity of shots: the drive on the exacting 432-yard 2nd that must cling to a left-to-right sloping fairway corseted by thick woods; a 5-wood on the 210-yard 4th from high in the trees, grandly down to a green with a steep falloff left; a full-blooded 3-wood second shot on the 575-yard 5th, launched from the valley floor and soaring over the crest of a steep hill to a blind, angled fairway on the far side. We look back over those early holes—the thinking, shots and composure required—and we ask ourselves, “What next?” The answer is simple: more equally varied and stimulating golf holes, all the way to the clubhouse. Included is a pair of superlative long par 4s, the 476-yard 12th and the 440-yard 13th, both with more than their share of water, sand and trees. Which brings us to a unique finishing cluster—a concrete demonstration that Flynn indeed was “not hidebound by convention.” The Cascades has to be the only truly great course that does not have so much as one par 4 among its final four holes. The 15th and 18th are par 3s, the 16th and 17th par 5s. It all adds up to an unusual but nonetheless rousing finish, one in which a mediocre round can be salvaged, or, it must be admitted, a promising round can be ruined. 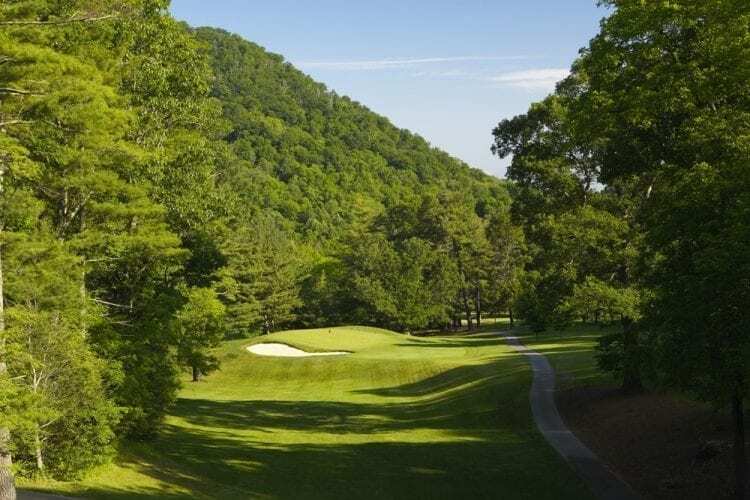 In addition to the Cascades, there are two other worthy 18s: Lower Cascades, which Robert Trent Jones laid out in 1963, and the delightful, roller coaster Old, which Donald Ross expanded from six to 18 holes in 1913 and which Rees Jones revised extensively in 1995.